Sophie: If Klaus betrays us, Hayley will die. Du have my word on that.. Elijah: Then I"ll give Du my word. We will be your partners. We'll end Marcel’s reigns. But know this, if anything whatsoever happens to that girl oder her unborn child.You needn’t fear Marcel nor Klaus oder anyone…More than anyone Du need to fear me.. HD Wallpaper and background images in the Elijah & Hayley club tagged: the originals elijah mikaelson 1x01 hayley mikaelson original vampire werewolf phoebe tonkin daniel gillies. 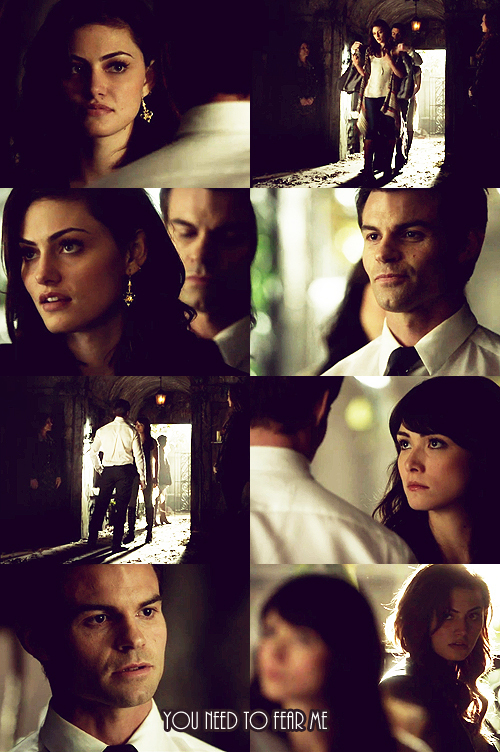 Elijah: Then I"ll give Du my word. We will be your partners. We'll end Marcel’s reigns. But know this, if anything whatsoever happens to that girl oder her unborn child.You needn’t fear Marcel nor Klaus oder anyone…More than anyone Du need to fear me.